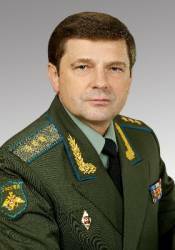 Former Deputy Defense Minister Oleg Ostapenko will head up Russia’s Federal Space Agency (Roscosmos), replacing Vladimir Popovkin, Prime Minister Dmitry Medvedev said yesterday (October 10, 2013). 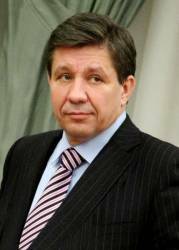 Popovkin was dismissed from his post Thursday by a government decree, according to a report by Novosti RIA, the Russian information agency. The move comes in the wake of several launch failures, including the loss of three GLONASS-M satellites in July, and an extensive investigation of Roscosmos, which has led to numerous dismissals and charges of corruption. On Wednesday, Deputy Prime Minister Rogozin revealed plans for a major restructuring of the space industry, including formation of new state entity, the United Rocket and Space Corporation, that would take over manufacturing facilities from Roscosmos.